The stereotypic divorce drama, involving the private detective trailing the cheating spouse is now less frequently seen in Family Court, at least in New Jersey where I practice. 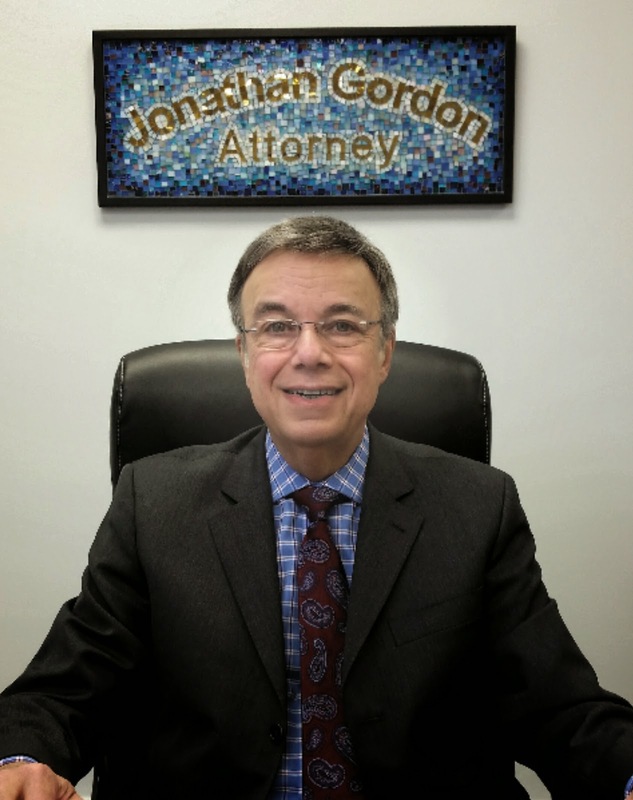 Since the passage of the NJ “No fault divorce law” in 2007, it is much easier and simpler to get a divorce for no particular reason other than “irreconcilable differences” that must have have lasted for at least six months before the filing of the Complaint for Divorce. No trial necessary to prove these grounds, no requirement to be specific about what the irreconcilable differences are or how they arose. Just the six month requirement. So why use the grounds of adultery (among others) at all? The Courts are not really interested in marital fault any more unless there are substantial issues of physical or financial injury such as the major dissipation of marital assets, spousal violence resulting in injury, and some others. Without getting into a discussion about these here, they can be called “marital torts” (for which money damages may be awarded) that essentially co-exist in parallel with the divorce litigation. That will be the subject of another column. Other than marital torts (called “Tevis claims” in NJ, named after Tevis v. Tevis, 79 N.J. 422 (1979)), that are successfully litigated, a Judge will not financially favor a litigant who complains about their estranged spouse committing adultery, for example. So the Court will not award more alimony or any damages, or attorneys’ fees for being on the receiving end of infidelity. The Courts do not care how many people your spouse slept with or what gender their partner was. In that case, why do people bother? Usually anger drives this choice, as well as the grounds of Extreme Cruelty. Why do people have affairs, anyway? On the extreme end of the spectrum Some people who suffer from sexual addiction may be compelled to engage in serial sexual encounters due to their dysfunction. But that is a disorder, requiring treatment like any other addiction. It manifests itself in chronic sexual acting out behavior. It is not because the cheater fell out of love with their spouse, or that the spouse refuses sexual relations. It is rather, a compulsive behavior that is difficult if not impossible to resist. Some have affairs out of chronic anger or long term pent-up resentment against their spouse for a variety of possible reasons (may be called “excuses” or “rationalizations” by some). Anger, as I have stated elsewhere, can be a catalyst for change, or can be a destructive force if the anger is held inside, festering and getting in the way of love. Infidelity is often an act of anger against the resented spouse. Some examples of underlying “reasons” acting as a wedge between the couple, thereby estranging them from each other over time, could include: Disagreements over money management and spending, meddling family members, the lack of sexual chemistry or lack of desire by a spouse, untreated alcoholism or substance abuse, employment problems, etc. just to name a few. Lack of sexual desire could happen after a woman has a child or after menopause, or for both genders could be the result of depression, anxiety, substance or alcohol abuse, etc. A couple could drift apart because of the stress that a child with medical problems or handicapping conditions could generate, not to mention the need to focus on that child. The family dynamic that led to an infidelity could be complex and multifaceted and is a therapy issue. But a cheating spouse could cheat without having any perceptible animosity or resentment toward their spouse. A cheating spouse could cheat because of falling in love with someone with whom they interact on a regular basis, such as a co-worker. This may be an insidious process that grows over time. It is possible that this cheating spouse can love both the spouse and the lover at the same time, differently, without having any desire to leave the marriage, without having any angry reason to have had an affair. In this scenario, the cheating spouse carves out a separate and distinct relationship with the lover and with the unsuspecting spouse, as if in two separate worlds kept insulated from each other. While this is difficult to get away with over a long period of time, some have this kind of relationship with two partners: a spouse and a lover, for years. How much energy it takes to maintain a secret, other-life in addition to the marriage, may be huge and emotionally draining. At some point, the cheating spouse may opt to leave one of the partners because they cannot maintain the fiction at home and keep a lover and spouse happy at the same time. Or subconsciously, that cheating spouse may allow him/herself to be discovered and this will force the inevitable and dramatic outcome on that person. Unless the couple wish to go for marriage counseling to work on their issues, the trauma to the marriage may be insurmountable (with or without therapy). Or they may be able to salvage their relationship if the motivation is there. But damage is done and it is usually difficult (but not impossible) to re-establish trust after such an event. A spouse discovering infidelity should immediately get a qualified therapist to help to emotionally process what happened in a productive manner, to prevent impulsive and reactive behavior that could ultimately be self-defeating or self-destructive. If possible, marriage counseling should be considered, but at the very least, individual counseling. The pain of discovery of the affair is great, and if the infidelity is seen as a back-stabbing betrayal, it will take time to heal. A support network will be helpful, but not if the support network vilifies and demonizes the cheating spouse. How could that possibly help the non-cheating spouse in any way except to encourage that person to be a victim? The support network would not know the details and inner workings of the marital dynamics and history. The one seeking support would be well advised to realize this and to request not to have their spouse (the parent of the children) become the target of hatred, vilification and disparagement, especially within earshot of the children. It is up to the perceived victim of the cheating spouse to control the environment, including the reactions of family and well-intentioned friends. This can be done by polite requests not to disparage their spouse, regardless of how heinous others think he/she is for what they did. The hurt and emotional upheaval that ensues should not be shared with the children since it will not be to their benefit. It will hurt them. So it takes great efforts to act in a healthy fashion after a major betrayal from a spouse or partner. Letting it all out at once in a destructive manner will make things worse. Regardless of the ubiquity of infidelity these days, it can be a devastating experience for most. That is why a therapist can help and this should not be delayed. Ironically, a victim of domestic violence or a spouse’s affair who cannot cope, may find themselves under scrutiny by the Court if children are getting exposed to undue emotional reactions, or attempts at alienation from the other parent. When everyone is under a microscope in Family Court, being in control of one’s emotions and putting the children first is essential. You’re in enough pain already. Don’t make it worse by losing control. If there is acrimony between the spouses, the cheating spouse will not miss the opportunity to make it look like the non-cheating spouse is unstable and unfit. Regardless of the legitimacy of the reasons for the outrage, the expression of that outrage can be self-defeating and even self-destructive. Don’t let that happen. Don’t fall into that trap because it can and will be used against you by the other spouse if there is an agenda to do so. The discovery of an affair, while devastating a marriage, can also have major effects on the children of the marriage, whether minors or emancipated adult children. At times, the children will side with the non-cheating spouse (perceived to be the victim or unhappy underdog). This can lead to severe estrangement of the children from the cheating parent, along with other possible emotional results in the children. It doesn’t help if the non-cheating spouse rants constantly to the children what a creep the other parent is. This kind of reaction does great damage to children. Some parents cannot filter out their feelings to protect their children, thereby using the children as sounding boards or worse yet, therapists for the parent. This does untold damage to children such as causing depression, behavioral acting out, anger management issues, or a child who becomes “parentified”. The parentified child overly identifies with the needy parent, acts to nurture, calm and reassure that seemingly fragile parent. This child may also act in a parental role for a younger sibling, if the grieving parent cannot. The parentified child may stay home more, have less interactions with his or her friends and be less of a child then he/she should be for their age. (less play, more taking care of a parent in need). It is unnatural and not healthy since it is the parent who is supposed to nurture the child, not the other way around.